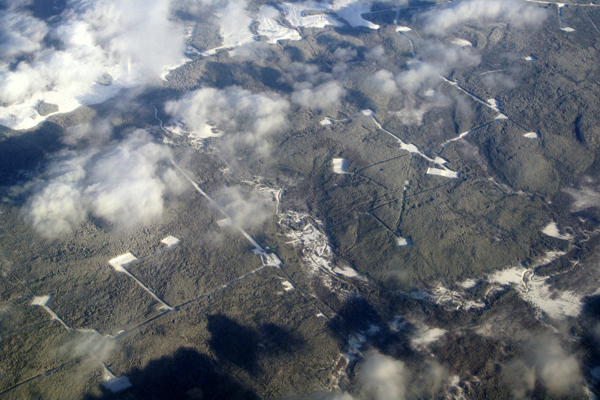 Fracking field in north eastern BC. Photo: The Tyee. Quakes also triggered by wastewater disposal, finds oil and gas commission. 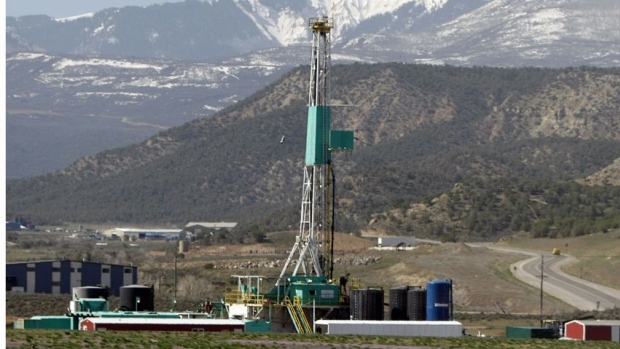 British Columbia’s shale gas fracking industry triggered more than 231 earthquakes or ”seismic events” in northeastern British Columbia between Aug. 2013 and Oct. 2014. Some of the quakes were severe enough to ”experience a few seconds of shaking” on the ground in seven areas of the province on top of the large Montney shale gas basin. Fort Nelson FN chief Sharleen Gale speaking at LNG conference. After both praise and backlash for expelling B.C. government from an industry summit in April, the Fort Nelson First Nation has signed on to an LNG camp deal with Black Diamond, which would include a 425-room lodge in the Horn River area. 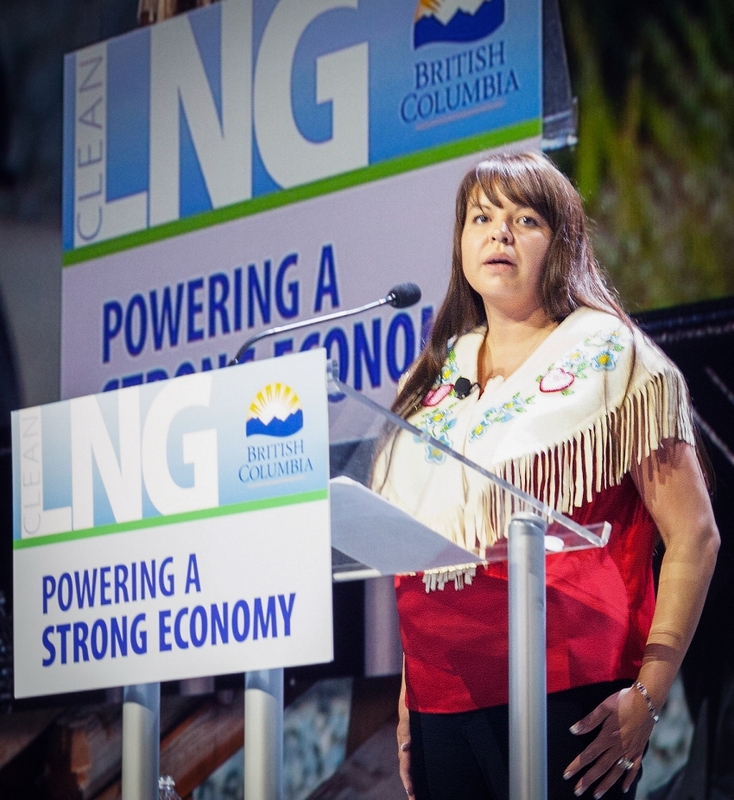 In an apparent turn of events since the “Fort Nelson Incident”, in which 33-year-old Fort Nelson First Nation Chief Sharleen Gale held up a feather and kicked out government officials from an LNG summit, the nation has now signed up a deal for a long-term camp lease for LNG workforce. Sharleen Gail, chief of Fort Nelson band. 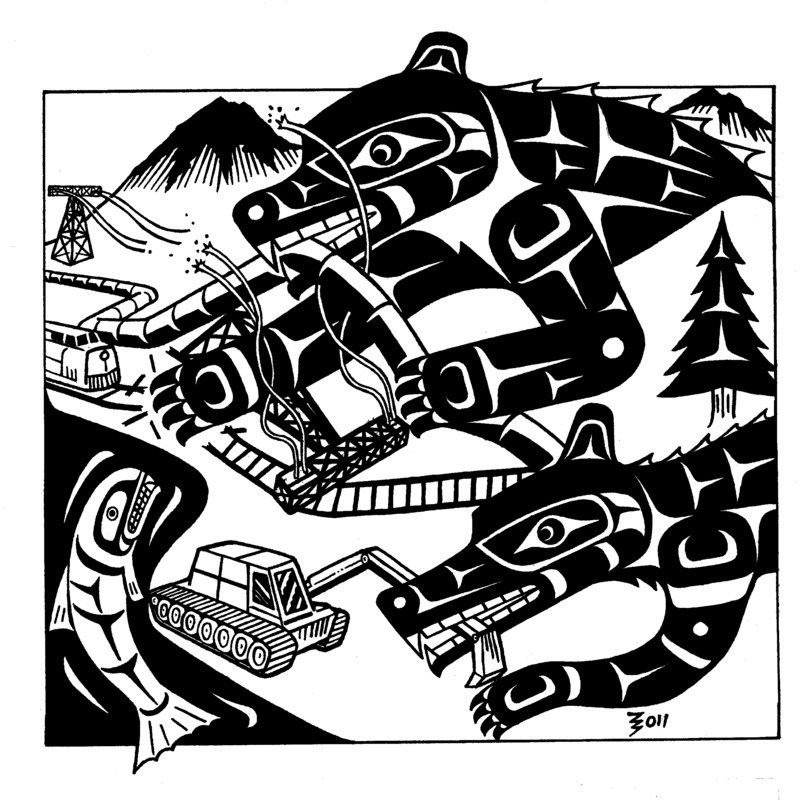 The “Fort Nelson incident” has united First Nations against speedy approvals of a $78 billion industry – potentially “destabilizing” the Premier’s entire strategy. 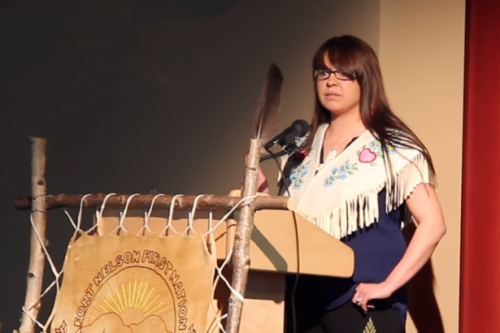 The actions of a young, tough-talking First Nations leader in northeast B.C. last week, that sparked the embarrassing reversal of a cabinet decision to fast-track natural gas plants, appears to be rallying province-wide Aboriginal opposition to Liquified Natural Gas plans. Natural gas industry accused of illegal water use in B.C. Three environmental groups have filed a lawsuit against the British Columbia Oil and Gas Commission and natural gas company Encana over the use of water from B.C.’s lakes and rivers. 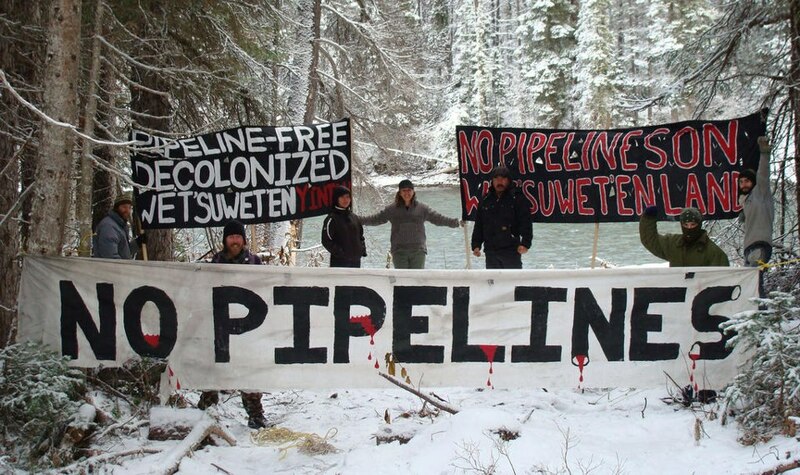 Banners at the Unis’tot’en camp in the central interior region of ‘BC’, declaring their opposition to the Pacific Trails Pipeline. Former Liberal MP Bob Rae is the new chairman of the board of a British Columbia-based partnership of 15 First Nations that is preparing to implement a major pipeline deal.